October is the official month for Breast Cancer awareness. For the last several years, Customized Girl has donated a percentage of our breast cancer design sales in the fight for raising funds and awareness for breast cancer research. This year we decided to collaborate with an organization that hit a little closer to home. Raising funds for The Breast Cancer Fund Of Ohio really stood out to us not only because they are based out of Ohio but because we truly love and admire what they do to help breast cancer patients. 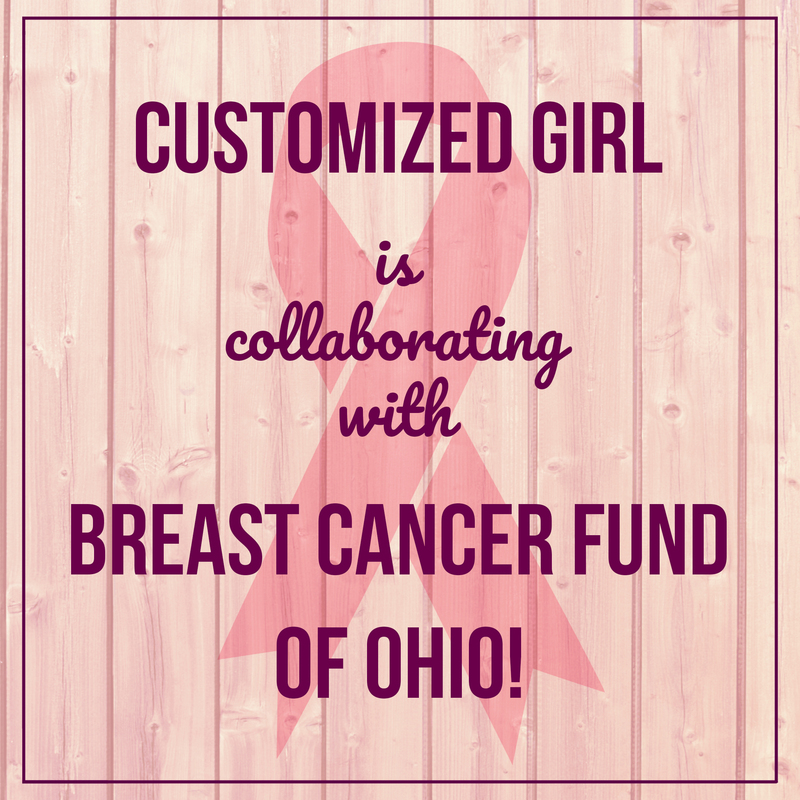 The Breast Cancer Fund of Ohio is a 501(c)(3) nonprofit that was originally formed by survivors. They distribute funds from the sale of Ohio’s Breast Cancer Awareness License Plate to organizations around Ohio for emergency financial assistance to breast cancer patients. Their main mission is to help Ohio breast cancer patients with the day-to-day challenges of living while being treated for breast cancer. 100% of funds raised stay in Ohio to benefit organizations and patients in the local community. It’s no secret that Customized Girl is a Columbus, Ohio based company and we take pride in doing all of our work right here in Columbus. The buckeye bond and Ohio connection was too perfect for a partnership in honoring and supporting those fighting against Breast Cancer. This year Customized Girl is happy to announce that we were able to donate $614.79! Raising funds for The Breast Cancer Fund Of Ohio could not of been done without the help of our customers who designed and purchased custom breast cancer shirts. We would like to thank all of our customers for making this possible. 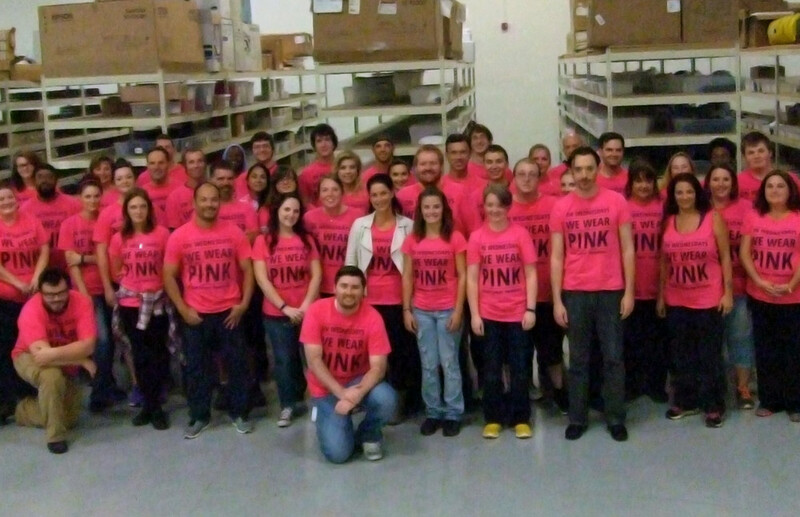 Many of those orders were for breast cancer shirts were personalized with a charitable walk or in memory of a loved one. Your breast cancer purchase is providing support and critical services to women and men in need. October 2017 Selfie Instagram Winner!